Americans have always had a fascination with big trucks. From childhood Tonka toy to Monster Truck rallies, there is nothing like the power of a revved up engine and vehicle that can take anything you throw at it. What many fail to realize is that you can be that person in charge behind the wheel and earn a good salary doing it. 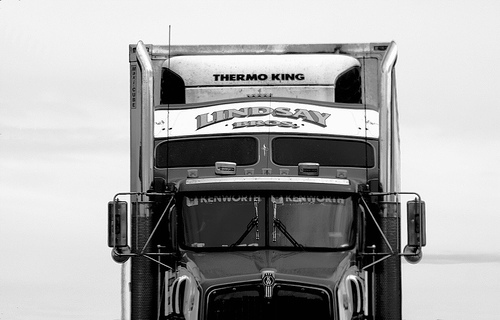 Long haul drivers have the capacity to earn big bucks while living out some of those youthful dreams of a big truck on the open road. Given the state of our uncertain economy where few jobs can be considered safe, securing a career as a truck driver can prove to be both lucrative and stable. Don’t get me wrong, driving has its challenges. For one, you are often on the road, which means less time spent with your family. Secondly, you don’t work the normal 8 – 5 shift, which is great for those of us who get tired of a routine, but tough on people who want that structure and lifestyle. And lastly, truck driving is a tough job that requires skill and focus because your life is on the line every time you take to the road. As with any other profession, the primary goal in getting a job is to earn. For many potential drivers, this is the only equation that matters. Before we delve into the exact figures, it pays to first understand that the trucking industry rakes in close to $ 300 billion in profits per year. Our economy can’t grow without trucks on the road moving goods across the country, which is why well trained drivers are in demand. While we can safely say that any truck driver can earn roughly $ 45,000 a year, there are still a number of other variables that can propel your income forward. Company: the amount of money you take home also depends on the financial standing or capability of your company. On average, most trucking companies shell out roughly $ 15 per hour, while those who drive longer distances are paid by the mile. Generally, a newbie can take home anywhere from $ 30,000 – $ 45,000 a year while the veterans of the road with more experienced earn as much as $ 100,000 per year. As per recent statistics, truck drivers with less than 1 year experience are paid anywhere from $ 14 – $ 14.50 per hour while those with 1 – 4 years of driving experience can ask for $ 15 per hour. Drivers who have gained the necessary expertise and licenses can also work overseas which can mean more substantial pay as you temporarily work in another country. By taking on overseas truck operator jobs, the hiring company shall also shoulder all the necessary expenses for licensing and relocation. Naturally, the more experience you have, the better the pay. Apart from the regular pay, driver benefits are also included to help bring in more applicants. This includes health insurance coverage, remuneration packages, and retirement options. With the United States receiving over 9 billion tons of shipments that need delivery to each of our communities each year, it comes as no surprise that long and short haul drivers, literally and figuratively, move the country. As a truck driver, you do not just work for yourself and your family because your profession plays an integral role in keeping the economy running. About the author: Bryan is a writer for TruckertoTrucker.com, a website that helps transportation companies find trucks for sale, as well as shipping containers like these seen here.